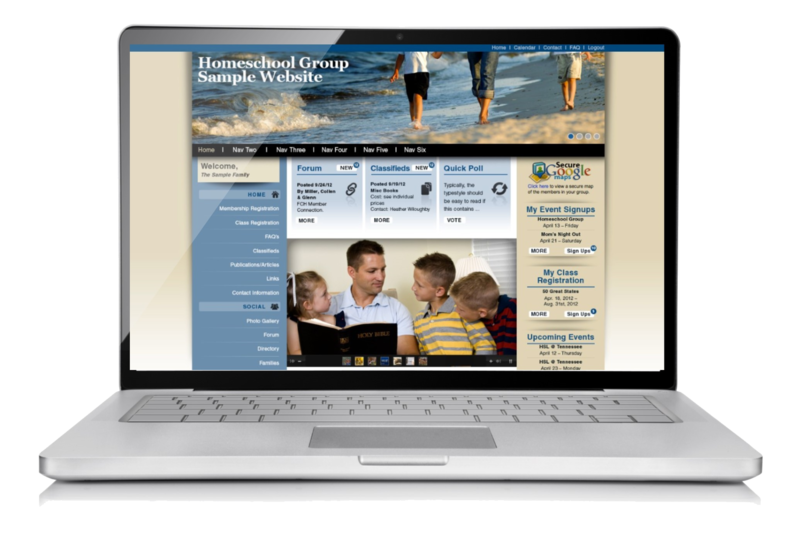 Homeschool-Life.com offers customizable websites to meet the unique needs of your homeschool support group and/or co-op. It is our goal to relieve the burden of your group's administrative tasks and free up time for group leaders to manage the rest of their to-do list. Many of our leaders enjoy extra time to homeschool their children, lead their groups, and enjoy their families. At the same time, the group enjoys enhanced communication, organized information at their fingertips, and an online link to their support group/co-op that is safe and secure. Homeschool-life.com was founded in 2004. A pastor's wife was remarking how difficult it was to communicate and schedule activities with other homeschool families and the rest is history. The idea was born and developed into an online presence that spans across the continental U.S. and in 4 countries serving over 75,000 homeschool families. Homeschool-Life.com gained nationwide popularity over the years, including use by groups beyond our borders. The Homeschool-Life.com team keep their ears tuned to the needs of the growing homeschooling population. They continue to improve and perfect Homeschool-Life.com to accommodate the diverse group structures and programs offered by the hard working, dedicated homeschooling families in America and abroad. If you are a homeschool group or co-op leader, you have come to the right place. Homeschool-Life.com is here to support you and make your job easier!